I wouldn't particularly pass a Terry's Chocolate Orange off as a classic Christmas chocolate, but I would pass oranges off as a classic Christmas fruit. For me, the smell of oranges screams Christmas. I think that once you've visited a Christmas market you'll agree with me. 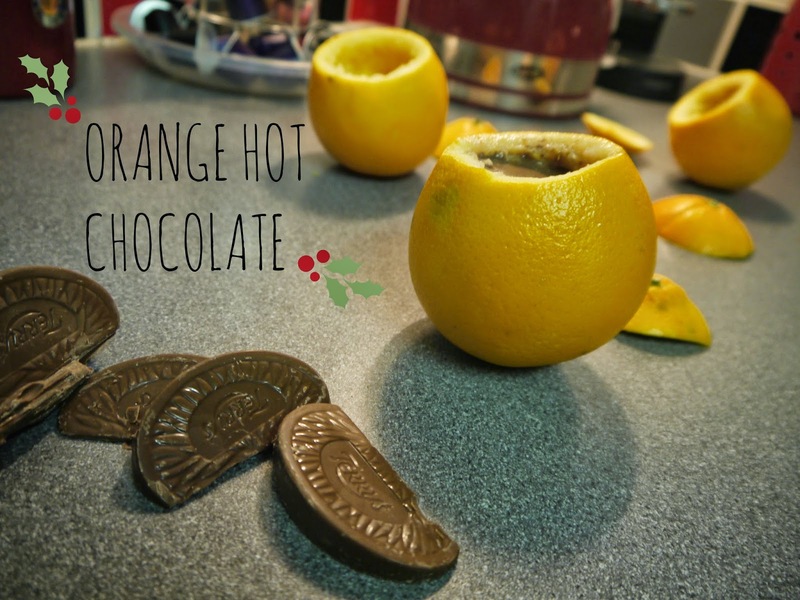 Hot chocolate is also popular in winter months, so a chocolate orange hot chocolate served in orange peel cups seemed pretty relevant for Christmas time. This recipe is divine and my entire family loved theirs, so it's worth giving a go. I promise. I got all of my ingredients from Sainsburys, for those wondering. I wasn't able to find paper straws, so I just used the oranges without the lids as cups. Not as cute, but you still get the zingy taste. Using a ladle, fill the orange cups with hot chocolate and enjoy! Make sure you buy larger oranges so that they are sturdy, meaning they won't roll over. Let me know if you try these out.